El Sereno – An Uber driver escaped unscathed after her car was shot at Wednesday night in what police believe to be a case of mistaken identity. 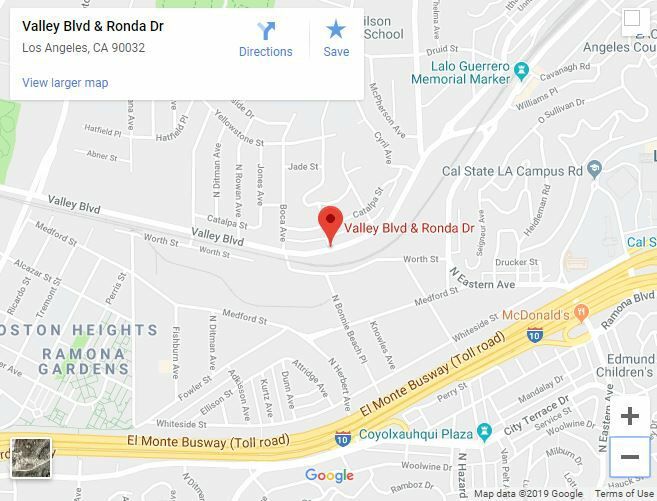 The car was shot at by two men standing near the sidewalk at about 6:30 p.m. near the intersection of Ronda Drive and Valley Boulevard, said Sgt. E. Yerkey with the LAPD’s Hollenbeck Division. The driver had just dropped off a passenger when the shooting happened, Yerkey said. Police believe the shooting may have been gang-related but the driver was mistaken for someone else. “It looks like, unfortunately, she was at the wrong place at the wrong time,” Yerkey said.